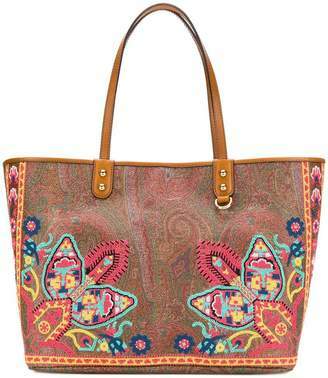 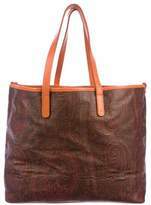 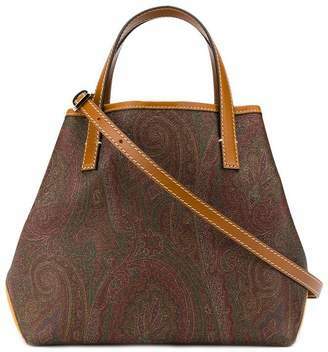 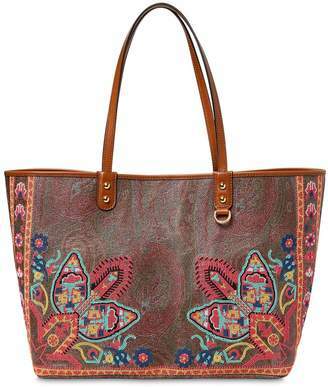 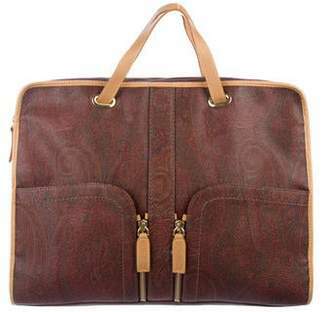 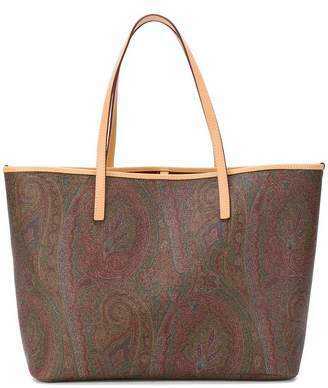 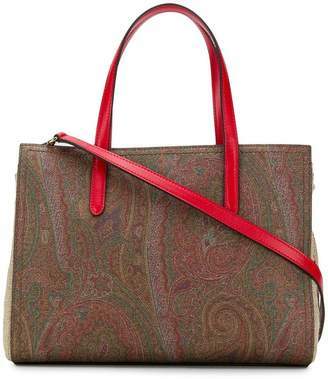 Burgundy and multicolor canvas Etro tote with gold-tone hardware, dual brown leather flat straps, brown leather trim, woven paisley pattern throughout, violet and multicolor stripe jacquard lining and open top. 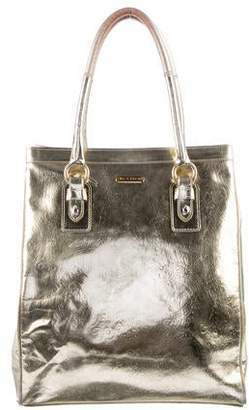 Includes dust bag. 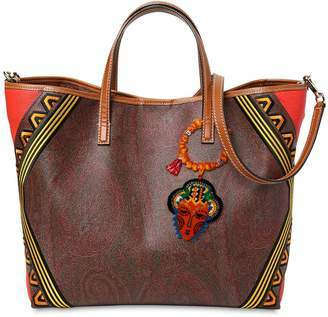 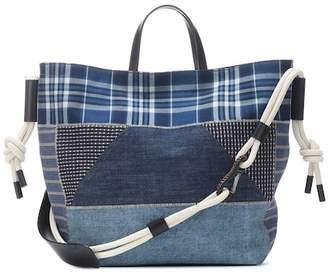 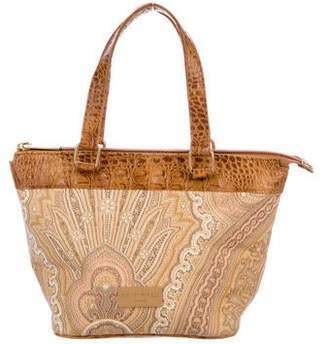 Shop Etro handbags at The RealReal.